Earlier this year, I bought an arch for the garden. It wasn’t particularly cheap as I wanted something sturdy and it wasn’t particularly easy to get into the ground either as I had discovered an area of 2D soil (two inches of soil below which is a foot of builders’ rubble) while putting it in. It was installed around midsummer so it really was too late to plant any climbers to go up either side of the arch so it stayed bare apart from a perennial sweet pea that didn’t do much in the end. I also was often ridiculed for having an arch in a garden that is so small, but I brushed it off because I know how amazing it’s going to look in a few years’ time. At the moment it is somewhat plain and stark. 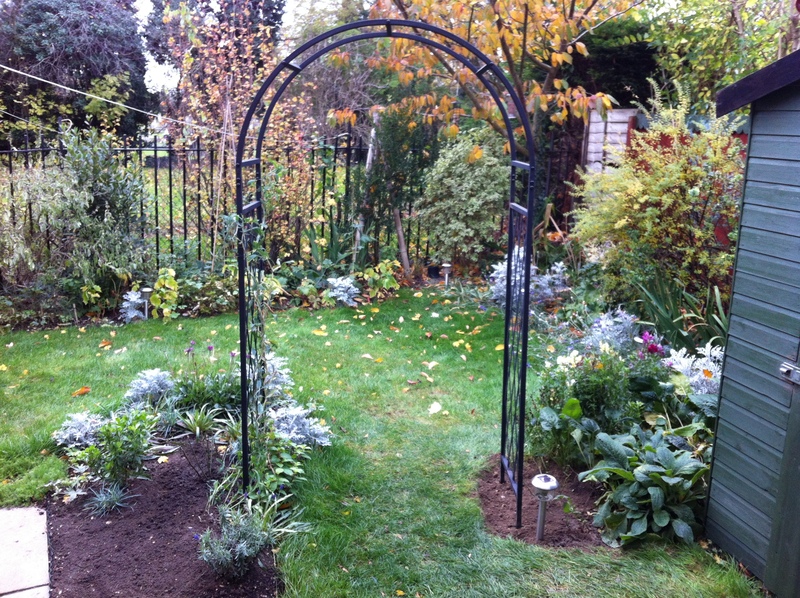 My idea is to have a strongly scented rose planted and growing up either side of the arch. 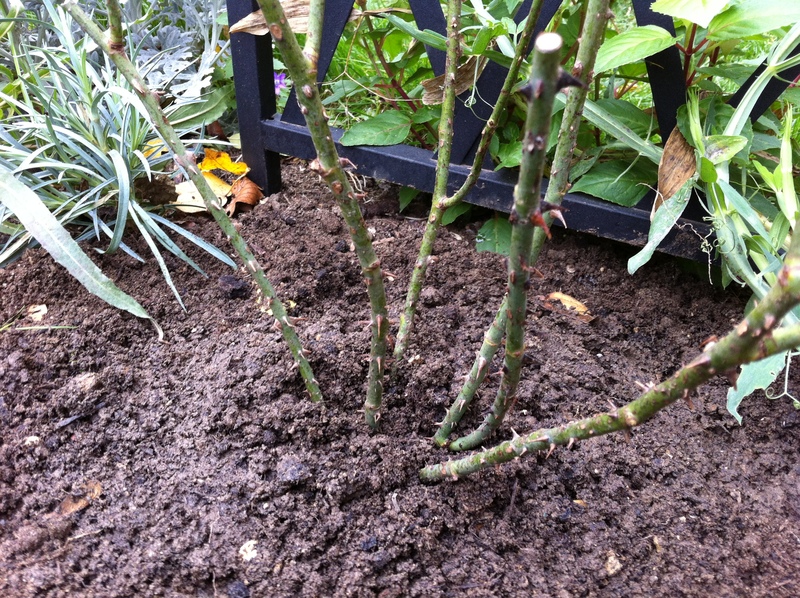 This week, part two of that plan was completed when a pair of bare root roses I ordered some time ago finally arrived. The rose on the left side of the arch is the classic, Rosa “Gertrude Jekyll” (Ausbord) after the famous gardener herself. It’s looking very small and sorry at the moment, but the ground it’s in is well dug, well fertilized, well watered and its in full sun. The second rose is opposite on the right and is Rosa “Graham Thomas”. Both roses are strongly scented and Gertrude Jekyll is a rich pink while the Graham Thomas is a deep yellow. I think pink and yellow go very well together and will make a stunning combination. 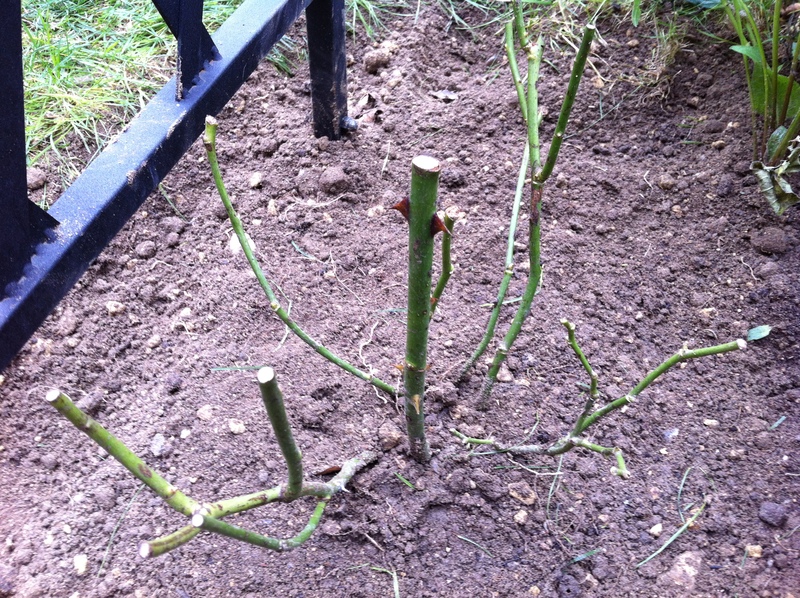 Right now though, both roses are just a small bunch of sticks in the ground that have to survive the winter. It’s going to take quite a long time before I get the arch covered and looking as I imagined. This kind of gardening is not for the impatient.